Friday Feast: Beans on Toast – Zero Equals Two! As an angsty teen sulking in my parent’s suburban basement listening to Erasure, Yazoo, and Depeche Mode, it never occurred to me that someone like Vince Clarke—a founding member of all three bands—could possibly be engaging in normal, human activities. Grocery shopping, cooking, and even eating were the stuff of mortals like me, and rock stars like him must subsist on adrenaline, sparkle, and rarefied air. 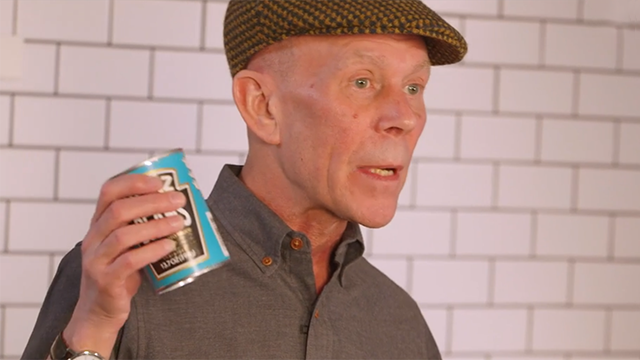 And yet, here he is, showing us how its done: Erasure’s Vince Clarke Makes Beans on Toast.